R. Anthony (Tony) Snow, M.D. is a compassionate, competent and inspiring board-certified family physician. Dr. Snow has served in community medicine for over 35 years. Dr. Snow is the President of Wellfit Incorporated, a 501 c 3 non-profit organization, co-founded with his wife Kathy Iorio in 2002. WellFit Incorporated was developed to empower children and families to L.E.A.P. – Learn, Embrace and Actively Practice healthy living. He is also co-executive director, medical director and co-host of the award-winning weekly family TV show “Wellsville” currently airing Saturdays at 8 a.m. on FOX 66, a FOX affiliate in Erie, PA. Wellsville, a program of WellFit Incorporated, is a comprehensive, multi-faceted program that includes a dynamic school-based program, a family-friendly website (wellsville.tv), community programs, a DVD series and the Wellsville TV show, all designed to inspire and empower children and families to lead healthy, active lives. He serves as Medical Director of the Erie County Department of Health in Erie, Pennsylvania and serves on several community boards. Dr Snow retired from the USAF Reserves with the rank of Colonel in 2012 after completing 21 years of service. His tours of duty included mobilizations for Operation Desert Storm and Operation Iraqi Freedom. He has been the recipient of numerous military and civilian honors including the Humanitarian Award, Community Service in Health Award, Healthcare Provider of the Year, Outstanding Commitment for Community Service Award, Public Citizen of the Year, Hometown Hero Award, Citations from the Pennsylvania Senate and House of Representatives, the PA Forum Clinical Service Award, the Pennsylvania Association of Community Health Centers Carol G. Baxter Lifetime Achievement Award, the Kiwanis Club Distinguished Service Award for Serving Community Needs and the Martin Luther King Memorial Center Dr King Award for Outstanding Community Service. Dr. 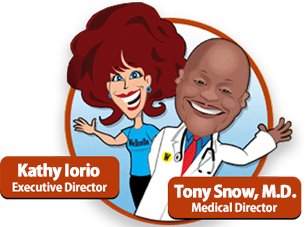 Snow is an enthusiastic physician who strongly believes in a holistic approach to healthcare. He endorses many modalities of integrative medicine and healthy community initiatives to maximize personal and community wellness. He is a consummate, inspirational speaker on disease prevention and community collaborations. Dr. Snow believes that we can all achieve optimal health by focusing our collaborative energies on preventative health, health maintenance, regular physical activity, good nutrition, inner harmony and positive lifestyle practices. From 2013 to 2017 he served as Chief Executive Officer of Community Health Net (community-healthnet.com), a FQHC (Federally Qualified Health Center) in Erie, Pennsylvania serving over 30,000 medical and 15,000 dental visits per year. Prior to his duties as CEO, Dr. Snow served at Community Health Net as Chief Medical Officer since 1993. Dr. Snow enjoys spending time with family and friends, martial arts, music, and playing the piano and Native American flute. Kathy Iorio is the Vice President of WellFit Incorporated. Kathy serves as the executive director of Wellsville and co-executive director, writer, and co-host of the award-winning Wellsville children and family TV show that airs Saturdays at 8 a.m. on FOX 66 in Erie, Pennsylvania. Wellsville is a subsidiary of WellFit Incorporated, a 501(c) 3 non-profit organization that she and her husband, Dr. Tony Snow founded in 2002. Kathy has been in the fitness/wellness field for over 30 years. She holds a bachelor’s degree from Edinboro University of Pennsylvania and is certified as a Health Coach and Group Fitness Leader from the American Council on Exercise, Fitness Specialist from the YMCA and is a certified Children’s Fitness Specialist from the American Fitness Professionals and Associates. She is an inspiring and empowering motivational speaker on various wellness related topics. Kathy was employed at Hamot Medical Center for over 22 years, 18 as the director of the Hamot Wellness Center. Kathy authored a column “Fit for Life” in The Erie Daily Times for 8 years, is the featured instructor in six physical activity videos, and was the co-host of a 30-minute weekly children’s health and fitness television program, Clubhouse 24, which ran for 7 seasons on Erie’s local ABC affiliate. Kathy is the program director of the “Wellsville Goes to School” program, a unique youth mentoring/cross-age teaching program that combines active play, nutrition education, health literacy, civility and self-esteem building activities for children. Kathy is the recipient of the Gifts for Kids, Inc. “Fourth Annual Helping Hand Award.” the Mercy Center for Women’s “Women Making History Award” and the “Club Industry National Distinguished Business Woman’s Award” in the category of Industry Enhancement. Kathy is a member of the Pennsylvania Governor’s Advisory Council on Physical Fitness and Sports and was awarded the 2008 President’s Council on Physical Fitness and Sports’ Community Leadership Award. Kathy enjoys spending time with family and friends; reading, music, dancing, being active, mind/body medicine, botanical gardens, watching classic movies and has a strong passion for helping others achieve their full potential. Amy serves as a writer and editor for Wellsville. She loved teaching English for both middle and high school students in the area for fifteen years and is now a stay-at-home mom for her two boys. She stays busy by doing free lance writing and editing for local businesses and area universities. She has been an editor and consultant for several published books. She has a bachelor’s degree in secondary education/English from Penn State University and a master’s degree in English literature from Gannon University. 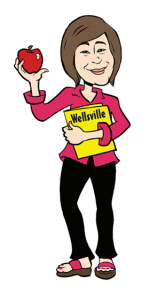 She and her boys, who are Wellsville kids, enjoy being part of the Wellsville family and spreading its message of healthy thinking and living. Stan films, edits and serves as a creative director for the Wellsville TV Show. He owns and operates Z3 Concepts, Inc., a video production company specializing in creative video for sales, marketing and training needs. Capabilities include creative direction, script writing, studio and on-location shooting, “Avid” and “Final Cut Pro” non-linear editing, 2D and 3D animation and CD-ROM and Web compressing. Clients include CNN, Discovery Channel, History Channel, General Electric, and other corporate and regional marketing firms. Z3 staff travels several times a year to coordinate national and international travel and equipment arrangements. Stan’s ten years in the business have produced regional and national awards in categories including commercials, corporate image, health care and public relations. Greg is Wellsville’s Multimedia Specialist. 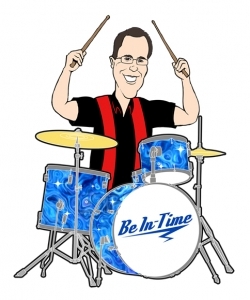 Greg is responsible for the web site and various graphic design functions. Greg has 10 years experience in web design, e-learning, videography, photography, graphic arts and all kinds of multimedia design and development. Greg has worked with many global companies including Lend Lease, PricewaterhouseCoopers, Accenture, Zurich, Compaq and STERIS Corporation. 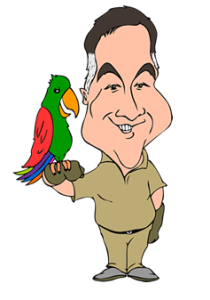 Born and educated in Sydney, Australia, Greg has always worked in technology related fields. Greg is a Google Certified Trusted Photographer. Greg owns ErieMultimedia, an award winning multimedia design and development company in Erie, PA.
Melanie is Wellsville’s data analyst. She is responsible for creating, compiling, analyzing, reporting and monitoring Wellsville’s outcome measurements including program evaluations, program outcomes, satisfaction surveys and focus groups. Melanie has a Bachelor of Science in Organizational Management and a Bachelor of Science in International Marketing from Penn State University. In addition, Melanie obtained her Personal Care Home Administrator’s License from Penn State Beaver, and is also a licensed Realtor. Melanie works for a local real estate development firm and also owns a data and marketing analyst company (Above the Bar Research), a legal research and deposition filming company (Strategic Video and Imaging), and is the marketing manager for Code Kit Pro (a start-up company in Erie). Melanie has taught Marketing and Non-Profit Management courses at Erie Business Center and has a passion for volunteering. She has been an active member in local organizations such as Young Erie Professionals, the Lake Erie Chapter of the Penn State Alumni Association and many others. 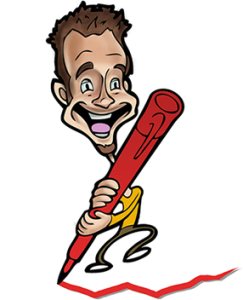 Chris is Wellsville’s illustrator and caricaturist. 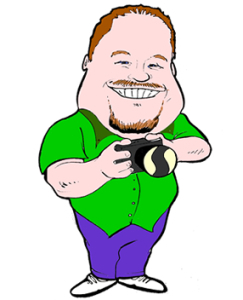 Chris is responsible for giving Wellsville its unique branding by creating caricatures of all those who appear on the show, as well as various fun illustrations and scenery artwork. 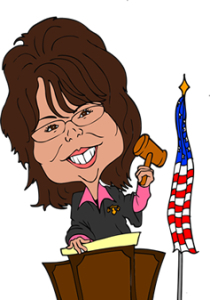 Chris also draws live caricatures at many of Wellsville’s public events. Chris has 8 years of experience working in design, film, animation, website design, photography, and illustration. He recently went full-time as owner of Schroeder Creations, a multi-disciplinary art & design studio located in Erie, PA. To see more of his work, please visit www.savethedoodle.com. Sarah is one of Wellsville’s Registered Dietitians for the weekly TV show and helps out with Wellsville community outreach programs as well as the Wellsville Goes to School show. She received her Bachelors Degree in Nutritional Sciences through Penn State University in State College, PA. and completed her dietetic internship through Adagio Health, formerly known as Family Health Council, Inc. She worked for Adagio Health teaching nutrition education to K-12 grade students at Union City Area School District in Pennsylvania. She, along with Kathy Iorio, was one of the facilitators for a pediatric weight management program for kids and their families called KidShape. She enjoys running, cooking, camping and spending time with her family, husband Zack, a high school math teacher in the same school district where she taught. She and Zack are proud parents of their amazing son Harper. Sandra serves as one of the dietitians for Wellsville. 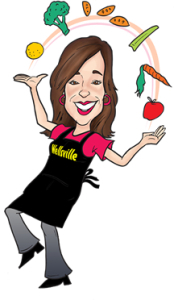 She can be found helping with Wellsville health fairs, community events or “on the set” of the Wellsville weekly TV show serving up great nutrition tips and scrumptious, simple recipes the whole family can enjoy. Sandra Luthringer is a compassionate, versatile and consummate Registered Dietitian in Erie, PA. She began her career at Hamot Medical Center as a clinical nutritionist and then moved to The Regional Cancer Center when it was built to act as their nutritionist, counseling patients on dietary changes that may help them through their course of treatments and educating the public on healthy eating to prevent cancer. Over the years that Sandy worked at the Cancer Center, she became known as the expert in cancer nutrition both in our Erie community as well as throughout the country. She was a founding member and then chairman of the Oncology Nutrition DPG, a subgroup of the American Dietetic Association. The ON-DPG has a membership of over 1500 dietitians in the US and Canada who all work in the oncology field. She was on the boards for the National Cancer Institute and the American Cancer Society and helped to develop many of their nutrition pamphlets and programs that are used nationwide today. She has spoken to a variety of audiences, both professional groups and the lay public on all aspects of nutrition and cancer care. She is the author of several chapters in textbooks used by medical professionals and co-edited a book published by the Oncology Nurses Society titled Nutritional Issues in Cancer Care…a book for medical professionals…found on the bookshelves of many oncology nurses and in the libraries of many medical schools. Sandy is currently working on another book, a guide to nutrition for cancer survivors to be published in 2011. After over 20 years working in the field of oncology, Sandy’s entrepreneurial spirit was ready for a new challenge…and in 2006, she opened Super Suppers…a studio kitchen and retail store known as a “meal assembly store” or a “take and bake” store…either way, it is your answer to “What’s for Dinner?” Her mission with Super Suppers is help families get back to the dinner and out of the fast food lane by offering healthy, home-cooked entree options. Sandy enjoys serving others with the best nutrition advice and provide nutrition strategies and solutions for everyone so as to help them live with good nutrition! 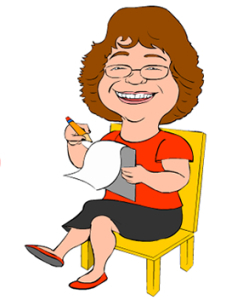 Mary Ellen Straub is the Wellsville Goes to School Coordinator bringing many years of experience in education to the Wellsville team. Born in Italy, Mary Ellen grew up and raised her own three children in Erie, Pa. She also went to school in Erie, earning her B.S. in Elementary Education from Gannon University and her M.Ed. from Edinboro University. She taught in both the Erie Catholic Schools and the Erie School District and was an instructor for Adult GED and Basic Education through the Northwest Tri-County Intermediate Unit. Now a loving and active grandmother of two, she shares her vast talents and love of children with the Wellsville team. Tom serves as the Wellsville Meteorologist. In the broadcast business for 17 years, he is a meteorologist for Erie’s ABC affiliate. Tom co-hosted a half-hour weekly television show called “Clubhouse 24” which focused on children’s health and fitness. The show ran for seven seasons. That program evolved into a community project, Project B-Fit, delivered to students in kindergarten through third grade. Tom has co-hosted school-based assemblies for this project reaching thousands of young students with the themes of staying active, eating well and respecting yourself and others. 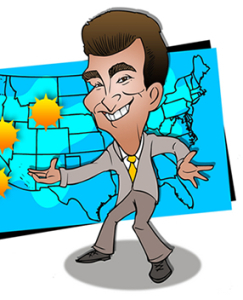 Tom also runs his own weather information program for children, “WeatherFun 24”, reaching over 450 schools and almost 45,000 students since 1993. Stacy graduated in 1989 from the University of Pittsburgh with a degree in Dental Assisting and Dental Hygiene. She has over 25 years of experience in the dental field, 16 of those years in pediatric dentistry during which Stacy focused on creating a child-friendly and fun environment for kids of all ages. Stacy took her knowledge and experiences a step further by traveling overseas to Germany, where she worked as a dental hygienist so that she could learn a laser therapy treatment invented in Germany and is now used here in the states and Lake Erie Dental where she currently works. Stacy is very proficient in periodontal scaling and root planning and is also certified and licensed in local dental anesthesia, a skill that helps her patients remain pain-free during treatment. Stacy is especially proud of being selected as the dental representative for Wellsville. In this role she is able to reach over 100,000 households every Saturday morning on Fox 66 (a local FOX affiliate station) to learn about dental health and wellness. 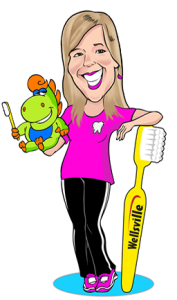 In addition to the Wellsville television program, Stacy volunteers regularly in the community and participates in the “Wellsville Goes to School” program, teaching elementary students the importance of dental health and how to brush and floss properly. Stacy is a member of the American Dental Hygiene Association and maintains her certifications in CPR and X-Rays. Stacy holds a 2nd degree blackbelt in Goshin Jutsu Karate, loves swimming, scuba diving, biking, cooking and spending time with her family. Marianne is one of Wellsville’s Registered Dietitian when needed. She is registered through the Academy of Nutrition and Dietetics and licensed in the state of Pennsylvania. Marianne currently works at the VA Medical Center in Erie, PA after spending many years as a registered dietitian at Saint Vincent Hospital-Allegheny Health Network. Her responsibilities have included both in-patient and outpatient nutrition counseling for all age groups with an emphasis on cardiovascular, critical care, diabetes, obesity, normal nutrition and celiac disease. She has also been a preceptor and mentor to dietetic interns. Marianne graduated with a degree in Food and Nutrition from Mercyhurst College and then went on to receive her master’s degree in Health Service Administration from Gannon University.Marianne’s passion to help people with their nutritional needs is evident in her work. She really enjoys helping others live their best lives with healthy nutrition. Her wealth of nutrition knowledge and her compassionate, caring style brings much applicable nutrition information, joy and happiness to the people she serves.Marianne likes to spend time with her husband, family and friends. Her interests include traveling, pole walking, reading, listening to music, finding great recipes to try, shopping and cooking healthy and catching a great movie. Dr. Smith is a licensed clinical psychologist who has enjoyed a diverse background as a clinician, administrator, teacher, consultant, and researcher in the Erie area. Currently, she serves as the Executive Director of Wellness at Mercyhurst University managing the campus Counseling and Health Centers. Dr. Smith served as executive director of the Children’s Advocacy Center of Erie from 2002-2007 and executive director of the Hamot Institute for Behavioral Health from 1982-2001. She has served as an investigator on three federal grants, including a SAMHSA grant for Project B-Fit, a program devoted to wellness for elementary school-aged children. In addition to her work in organizations within the Erie community, she has been a frequent speaker and consultant on a variety of topics dealing with educational, behavioral, and stress management topics. A 2010 winner of the Perseus House Goldstein Award, as well as recipient of the 2007 Woman of the Year from the Women’s Roundtable, Dr. Smith obtained her doctorate in clinical psychology from Michigan State University and her master’s degree in the same field from George Mason University. She received a bachelor’s degree in Elementary and Special Education from Edinboro University. Dr. Smith has a strong commitment to improving the health of children and adolescents in the community. An advocate for community partnerships between schools, parents, local organizations and health care systems, Dr. Smith brings her breadth of experience, exceptional leadership skills and passion to serve children and their families to the WellFit Incorporated as a member of the Board of Directors and adviser on grants and curriculum. Judy Martin is a principal and co-founder of Meritage Healthcare Strategies. She has over 30 years of experience in financial and management consulting and project feasibility analysis, including experience with two of the top international accounting firms. During her career, Judy has consulted with more than 400 hospitals and health systems that have considered medically integrated fitness and wellness center development. More than 60 centers have been built and are currently operating—several have achieved award-winning results. Judy has also been involved in the business planning, market research and feasibility studies for community recreation centers, complementary medicine programs, sports medicine programs, day spas and medical spas. In addition to making presentations and assisting with the development of white papers for the medical fitness industry, Judy has conducted the Medical Fitness Association’s industry surveys and developed the Benchmarks for Success Reports for the Medical Fitness Association since 2004. Based in St. Louis, Judy enjoys sports (Go Cardinals! ), art, music, cooking, travel and meeting new people. Her interests also include working out on a regular basis, seeking the perfect spa experience, and giving of her time and energies for charitable causes. She is a board member of WellFit Incorporated. Good health and fit bodies come in all shapes, sizes, ages; skin colors and abilities just like our Wellsville kids, families and volunteers. 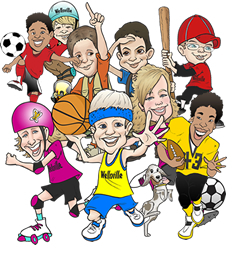 The Wellsville kids, families and volunteers are kids and adults who are committed to living a healthy and fit lifestyle. They are great role models for any community! Some of the Wellsville kids and Wellsville volunteers appear in the “Working Out with the Wellsville Gang” nutrition and activity DVD volume 1, participate in the myriad community events, health fairs and other related Wellsville programs.